Meeting in Ouagadougou, Burkina Faso, representatives of the six-member countries of the Permanent Interstate Committee for Drought Control in the Sahel (CILSS) launched the Regional Support Project for the Sahel Irrigation Initiative (dubbed PARIIS in French). Climate change is also manifested in Africa through the advancement of the Sahara Desert. It particularly concerns the Sahelian strip, which affects more than six countries: Burkina Faso, Chad, Mali, Mauritania, Niger, Senegal and Senegal. In this part of the continent, the practice of agriculture is becoming difficult, exposing people to famine. Since 2013, countries grouped together in the Permanent Interstate Committee for Drought Control in the Sahel (CILSS), have launched the Sahel Irrigation Initiative (2IS) in Dakar. Objective: “to make irrigated agriculture a solution for the development of the Sahel countries”. CILSS worked on this initiative with development partners such as the World Bank and technical partners in a kind of “Task Force” supported by two regional institutions, namely the Economic Community of West African States (ECOWAS) and the West African Economic and Monetary Union (UEMOA). Thanks to this lengthy work, they finally succeeded in launching, in November 2018, the Regional Support Project for the Sahel Irrigation Initiative (PARIIS). PARIIS aims to “improve the capacity of stakeholders to develop and manage irrigation and increase irrigated areas by following a regional solutions-based approach for the five types of irrigation systems identified by the Dakar Declaration. 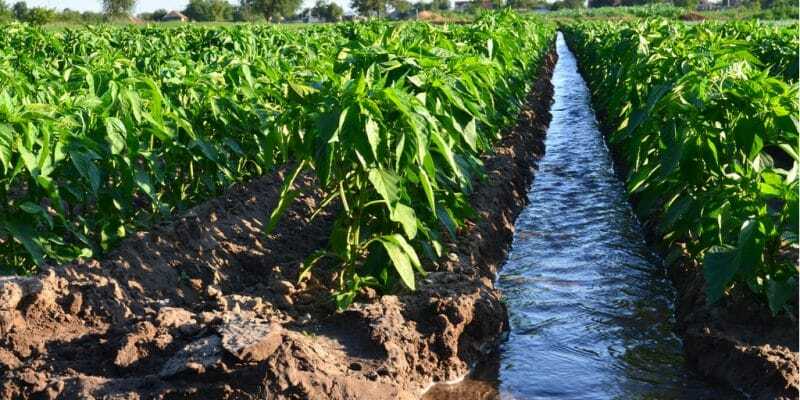 These are lowland development and controlled decline, small individual private irrigation, community irrigation, large public irrigation and irrigation through public-private partnership (PPP),” explains Djimé Adoum, Executive Secretary of CILSS. The implementation of this ambitious project also requires significant financial resources. On this point, the World Bank, through a decision of its Executive Board in February 2018, will support PARIIS with $170 million. This amount will be injected over a six-year period. At the Ouaga summit where PARIIS was launched, Jacob Ouédraogo, Minister of Agriculture and Water Development, gave his country’s objectives. As part of this project, Burkina Faso plans to irrigate 5,950 hectares. Several farmers will benefit from it in the Boucle du Mouhoun, Nord, Centre and Centre-Ouest regions, as well as in the provinces of Houet and Tuy. Niger, for its part, will benefit from an investment of CFAF 16 billion, or $27.4 million, to benefit farmers in the Agadez, Tahoua, Dosso and Tillabéry regions. PARIIS will reach 58,000 farmers in West and Central Africa. Overall, “about 35% of the direct beneficiaries will be women. Indirect beneficiaries are estimated at some 480,000 people in total and the developed or revitalised areas are projected at 23,000 hectares,” said the CILSS.